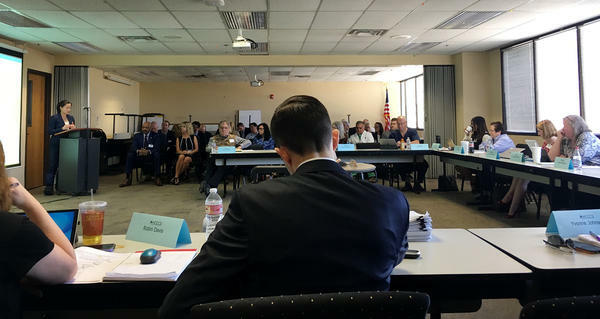 A representative for a pharmaceutical company speaks to an April meeting of the Arizona committee that helps the state's Medicaid agency make decisions about medications. Sheryl Johnson was diagnosed with hepatitis C in the early 2000s. She is waiting for Sovaldi, a treatment that can cure the illness, to be covered by Medicaid. Johnson sifts through her medical and Medicaid records in her home. While she waits for Sovaldi to become available through Louisiana's Medicaid program, she is taking another medication that isn't as effective. 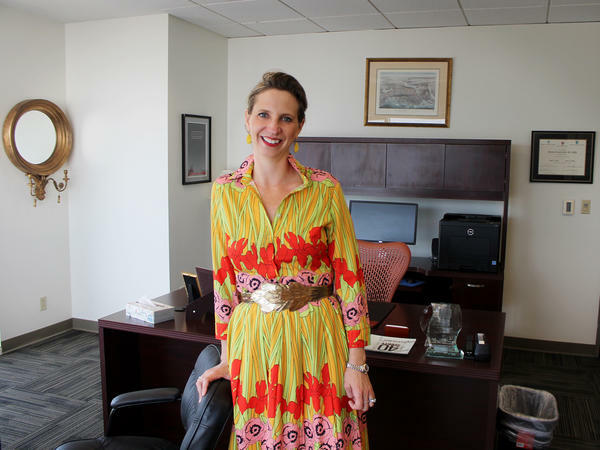 "When those drug prices are high, it means either we have to cut things in our state budget or we can't afford the care," says Louisiana Health Secretary Rebekah Gee, seen in her office in New Orleans. Eight months pregnant, the drug sales representative wore a wire for the FBI around her bulging belly as she recorded conversations with colleagues at a conference in Chicago. Her code name? Pampers. Her company, drugmaker Warner Chilcott, was using payments and perks to get doctors to prescribe its drugs. Then its sales representatives gave nurses hot tips about what kind of symptoms would get Medicaid to pay for the drugs. The representatives also violated privacy laws by going through patient files and kept fax machines in their cars to fill out the paperwork meant for doctors. "I remember thinking I can't do this anymore," said Lisa, who didn't want her last name to be used so that news of her whistleblower legal settlement doesn't cause problems for her family. "This company needs to be held accountable. And if nobody else is going to do it, then I am." Warner Chilcott, which is now owned by Allergan, was trying to beat one of the few mechanisms set up by state Medicaid agencies to hold down drug costs for taxpayers and ensure safety for patients. Medicaid, which uses state and federal tax dollars to pay for health care for 76 million poor or disabled Americans, tries to ensure that patients get drugs that work the best and yet are also affordable. States put those drugs on what they call "preferred drug lists." 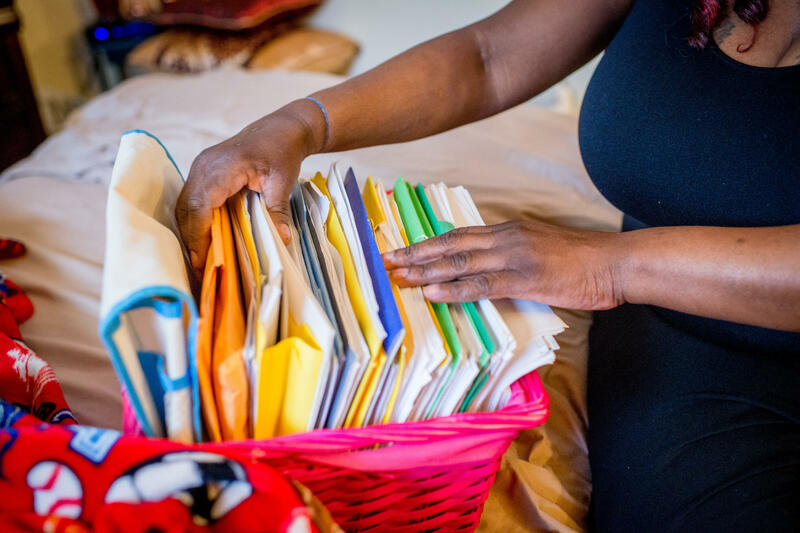 While Medicaid must pay for nearly all drugs by law, states can make it harder to get more expensive or less effective drugs by requiring doctors to fill out cumbersome administrative paperwork to prescribe those not on the preferred lists. Warner Chilcott's practices were particularly brazen and even illegal because the employees submitted false information to states. It pleaded guilty to felony health care fraud and agreed in 2015 to pay $125 million in civil and criminal fines. Allergan declined to comment. A Center for Public Integrity and NPR investigation found drug companies have infiltrated nearly every part of the process that determines how their drugs will be covered by taxpayers: giving free dinners and consulting gigs to many doctors on the obscure committees advising state Medicaid programs; asking speakers who don't disclose their financial ties with drug companies to testify about their drugs; and paying for state Medicaid officials to attend all-inclusive conferences where they can mingle with drug representatives. Beyond that, drugmakers use other tactics to get their products paid for by the Medicaid programs: lobbying state lawmakers to achieve their goals or helping doctors fill out extra paperwork to get Medicaid to pay for the costlier drugs as Warner Chilcott did. The result is that Medicaid sometimes spends more than necessary and may pay for medicines inappropriate for patients. 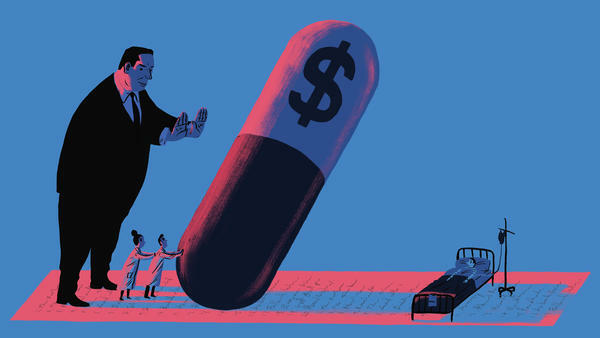 Around the country, drug companies are working to influence state Medicaid drug cost controls to keep their profits flowing. Meanwhile the cost of Medicaid is ballooning, not only because the program expanded in 33 states and the District of Columbia under the Affordable Care Act. Medicaid accounts for more than a quarter of 26 states' budgets, pitting the costs of classrooms, roads and public defenders against paying for health care. And prescription drugs are helping drive the increase nationwide. From 2008 through 2016, Medicaid drug costs grew almost 50 percent per patient, helping to nearly double the program's drug spending to $31 billion. After a Center for Public Integrity reporter made inquiries, one top Medicaid official divested his stock in pharmaceutical companies and a doctor advising Medicaid drug decisions resigned his position because he failed to disclose payments from drugmakers. The drug companies say they aren't to blame for the broken system. "As an industry, our priority is ensuring that patients have access to the medicines they need," said Priscilla VanderVeer, a spokeswoman for the drug industry's top trade group Pharmaceutical Research and Manufacturers of America. "States should consider changes to Medicaid that are in line with the intended goal of ensuring robust access to medically necessary drugs." "If this didn't work to bolster sales or toward favorable coverage decisions, then pharma would not be doing it," said Ameet Sarpatwari, a Harvard University epidemiologist who studies the economics of pharmaceuticals. "This is a business. And they would only be investing in this if it yielded returns." "I have no financial disclosures," Dr. Divyansu Patel told the Texas Drug Utilization Review Board in a drab hearing room of a state health agency building in Austin, Texas, in November. He then praised the drug Rexulti. But Patel did not tell the Texas committee he had been paid more than $12,000 over the past two years by the maker of the drug, Otsuka America Pharmaceutical Inc., including for speeches about Rexulti, according to the federal Open Payments database. The 16-member board was trying to decide which antipsychotic drugs should be on its Medicaid Preferred Drug List, a menu of medicines that each state decides reflect the balance between those that work the best and those that are most affordable. Pharmaceutical firms have tremendous incentives to be included on states' lists: It makes doctors far more likely to prescribe their drug to Medicaid patients and can encourage other insurers to follow suit. To nab spots on the coveted lists, drugmakers often offer the states discounts known as "supplemental rebates," called supplemental because they come on top of other price concessions required by federal law. At the Texas meeting alone, 12 people advocated for the state's list to include brand-name antipsychotic drugs, especially the expensive ones. Five of the speakers worked for drug companies. One represented a patient advocacy group that gets significant funding from drugmakers. At least four of the remaining six, including Patel, had ties to drugmakers despite claiming to represent themselves. It's not new for the Texas committee to hear about drugs from doctors with personal and financial connections to their manufacturers. A pending whistleblower lawsuit contends that a doctor who was being paid by the drug company AstraZeneca told the committee he was representing himself. But a sales representative for the drugmaker told the doctor "what to say" to the committee and later won a company award for his "instrumental" role in getting the company's drug on the Texas list, according to the lawsuit. AstraZeneca did not respond to requests for comment. Across the country, drugmaker representatives and pharma-friendly clinicians with industry ties swarm these low-profile drug committees, a review of meeting minutes shows. Center for Public Integrity and NPR reporters saw similar dynamics play out this spring in meetings in Arizona, Washington, D.C., and Louisiana. The committees, usually known as pharmacy and therapeutics committees or drug utilization review boards, are typically made up of volunteer pharmacists and doctors. But at least five states — Connecticut, Missouri, New Jersey, North Carolina and Utah — include drug company employees on their committees. Often, state officials must sign off on the committee's decisions. Critics say that when drugmakers target these committees, states aren't getting good deals and may also be making bad health decisions for patients. Jean Brown served on Arizona's drug committee in the late 1990s. Even then, the pharmacist remembers, drug salesmen would make appointments to speak with her before meetings. Such contact ahead of time, she said, does influence decisions. "What really bothers me is when the drug reps are in the meeting," she said. "That's not a good thing." Dr. Mohamed Ramadan volunteers on the 16-member Arizona committee that decides the state's list of preferred drugs. He also earned more than $700,000 since 2013 from drug companies, federal data show, a healthy supplement to his $259,000 salary as a psychiatrist at a mental health clinic. Some of the drugmakers' payments to Ramadan came in the form of lunches, dinners, travel, and consulting fees. But the bulk of it — more than $500,000 — was compensation for work such as speaking at events promoting certain drugs. Pharmaceutical companies paid Ramadan for these types of events 333 times over four and a half years — an average of more than once a week. "Healthy interaction with pharmaceutical companies is important," Ramadan said. "I try to do my best to educate myself and my colleagues in a way that would spread knowledge." He said drug companies chose him to give presentations because of his hard work, passion, flexibility and experience in a rural community. He treats drug-addicted and mentally ill patients at the Mohave Mental Health Clinic in Bullhead City, Ariz., a poor community tucked next to the borders of California and Nevada. Most of Ramadan's payments were related to two drugs, Janssen Pharmaceutical's Invega Sustenna and Otsuka's Abilify Maintena. Both are powerful schizophrenia drugs that are injected monthly, replacing a daily pill. They cost roughly $2,000 more than generic pill forms of the same drugs. Even though meeting minutes show Ramadan has missed nearly half of the Arizona drug committee meetings since he joined in 2016, he has shown up to the ones that reviewed Invega Sustenna and Abilify Maintena. After reporters' questions, he abstained from voting on those and similar drugs in a meeting Tuesday. Ramadan said he did call in to one of the other meetings despite what the minutes show. He said he was absent from others because of the four-hour drive to the meetings in Phoenix, a conference, confusion about the meeting location and doubt about the committee having a quorum to vote. "At Janssen, we believe health care decisions should be based on medical knowledge, free from improper influence," said Kelsey Buckholtz, a spokesperson for Janssen, a division of Johnson & Johnson. "We have strict guidelines in place that ensure our interactions with health care professionals are appropriate and compliant with all laws and regulations, and we publicly disclose all payments to physicians." Otsuka did not respond to requests for comment. Ramadan received more drug industry compensation than any other doctor on such state committees, according to a Center for Public Integrity analysis of federal data showing drug company payments made to physicians from mid-2013 through 2017. But three out of five doctors voting on state Medicaid decisions nationwide received perks from pharmaceutical companies. That's higher than the proportion in the general population of doctors, according to a recent study published in JAMA, the journal of the American Medical Association, that found about half of doctors received such perks. And at least 38 states had doctors serving on their Medicaid drug committees who collected more than $1,000 from pharmaceutical companies during that period, the Center's analysis found. Those payments include free dinners or travel, consulting fees and speaking honorariums. They do not include research grants. The review was limited to doctors because there is no requirement that drug companies report payments to other professionals, including pharmacists, who typically fill half of the drug committee seats. Doctors who get money from drugmakers — even as little as a $20 lunch, according to a study published in JAMA Internal Medicine — are more likely to prescribe that company's drugs. Dr. James Saperstone, who served on New York's Medicaid drug committee, took in more than $39,000 in payments from drugmakers over four and a half years. In 2016, he voted on one of the drugs for which he had previously been paid as a consultant. After the Center for Public Integrity made inquiries, state officials said, he resigned from the committee because he did not fully disclose those payments as required. Saperstone did not return calls requesting comment. In Arizona, Ramadan disclosed to state Medicaid officials that he had done work for drugmakers. But his fellow committee members don't receive copies of the disclosures, nor are they posted publicly. It's hard to tell how much influence Ramadan had in Arizona's drug decisions: The committee's final discussions happen behind closed doors, and the state's Medicaid agency must sign off on the group's recommendation. Since Ramadan joined the committee, the drugs Invega Sustenna and Abilify Maintena have always made the preferred list. "I keep myself very objective and I don't think that I have the only vote doing this," he said. "I'm more of a matter-of-fact point of view, and I don't think that I tried to influence any decisions." Fellow Arizona committee member and pharmacist Dan Lindell said he didn't perceive Ramadan to be biased. "His answers were very measured," he said after being told of Ramadan's earnings from drugmakers. "I always found him to be thoughtful." At a Hilton resort just outside downtown Scottsdale, Ariz., the American Drug Utilization Review Society hosted a free conference for state Medicaid officials in 2016 where they heard about diabetes from guest speaker Michael Magnotti, an endocrinologist. Insulin maker Sanofi-Aventis paid him $1,545 that same day. He also received more than $108,000 in consulting fees and other payments from pharmaceutical companies during that year. Magnotti did not respond to requests for comment, while Sanofi-Aventis declined to comment. Founded by what is now a subsidiary of Pfizer, ADURS covers the conference and travel for one official per state and asks 10 drugmakers to pay $20,000 each to send four representatives. There, officials can learn about what other states are doing, but also rub shoulders with company representatives and hear at least a few pharma-friendly talking points from speakers such as Magnotti who have financial ties to drug companies — the type of speakers drugmakers often refer to as "key opinion leaders." Most states don't require Medicaid officials to disclose such trips or their value. But one Connecticut Medicaid official disclosed attending three similar conferences worth $5,200 at resorts around the country in a single year — for free. Shellie Keast, a pharmacy professor at the University of Oklahoma who volunteers to help run ADURS, said that drugmakers don't get a say in speakers or topics. In addition, speakers are expected to disclose any potential conflicts in their presentation slides, and if attendees find speakers too slanted, they won't be asked back. "We try really hard to make everything as unbiased as possible," she said. Back in 2003, opioid maker Purdue Pharma helped fund the ADURS conference. State officials at that year's conference were told by a speaker that addiction from taking opioids was largely a myth, according to a slideshow obtained by the Center for Public Integrity. Patients taking opioids could suffer from "pseudoaddiction" that shouldn't be a concern, the presentation said — talking points that experts have since debunked and blamed for the epidemic now gripping the nation. Twenty-four states and Puerto Rico have sued Purdue in recent months for downplaying or concealing the risks of its painkillers. A Purdue spokesman declined to comment. Conferences aren't the only potential conflicts for state Medicaid drug officials. Financial disclosures show that New York Medicaid's pharmacy supervisor Anthony Merola owned stock in four pharmaceutical companies while overseeing decisions that affect their bottom lines. Those shares were worth nearly $37,000 at the end of 2016. After the Center for Public Integrity inquired, a lawyer and ethics officer for the state's health department determined Merola had done nothing wrong because a broker managed the stocks without his input. State officials said that Merola has since divested his pharmaceutical stocks and has ordered his broker not to buy any more. Merola did not respond to requests for comment. In most states, though, it's difficult to know if such potential conflicts exist. Just as with travel to industry-funded conferences, the officials overseeing Medicaid drug decisions often aren't required to disclose their stock holdings or other ties to drug companies. In Utah, Ray Ward saw a problem with the way the Medicaid program was paying for psychiatric drugs. By law, all were directly covered by Medicaid, meaning doctors didn't have to file special paperwork to prescribe any of them and their makers didn't have to pay the state any special rebates. Utah's bill for mental health drugs accounted for about a third of the state's Medicaid drug budget, Ward said. Ward, a family practice doctor and Republican state representative, wanted to get those costs under control. So in 2015, he proposed a bill to let Utah decide which mental health drugs to prioritize. And the pharmaceutical industry responded in force. While patient advocates lobbied in the public hearings, drug industry lobbyists worked behind the scenes, Ward said, meeting one-on-one with all the other legislators on the committee. The lobbyists, some of whom typically fly in from out of state for such key bills, steered clear of him, he said, because he refuses to see drug reps at his practice and they know where he stands on drug prices. "Certainly they'll be here in town if there's any bill that's in committee that might affect their monopoly," he said. Drug companies wield immense lobbying power at the state level, boasting an army of more than 2,200 registered state lobbyists each year on average for the past decade, according to data collected by the National Institute on Money in Politics. That's about one pharmaceutical lobbyist for every three legislators nationwide. In Utah alone that year, they had at least 36 lobbyists registered to represent them to influence just 104 lawmakers. Ward was forced to accept a compromise to pass his bill. Mental health drugs could go on the preferred drug list. But instead of filing time-consuming paperwork for a patient to get a non-preferred medication, a doctor simply would need to write three words on a prescription: "dispense as written." Still, Ward said, even that has already saved the state $5 million per year. Drug companies have lobbied for many years to fight preferred list consequences they don't like, such as having to pay supplemental rebates to states. Rebates are Medicaid's secret sauce — many states only add drugs to their preferred lists if the makers offer supplemental rebates. In the early 2000s, Florida was asking drug companies for the first time to offer supplemental rebates to nab spots on the state's list. So drugmaker Eli Lilly and Co. spent half a million dollars on public relations and lobbying in Florida to get a law passed blocking the state from collecting supplemental rebates on mental health drugs including Zyprexa, an antipsychotic drug that was then one of its biggest sellers. The company saved itself $7.3 million in such rebates, according to internal documents later revealed in litigation. "Florida is a case study," the company boasted in those documents. "If Medicaid begins to move against the pharmaceutical industry, or flares up, Lilly goes in and a skirmish ensures [sic]." Eli Lilly did not respond to requests for comment. New Mexico still doesn't collect supplemental rebates on any of its Medicaid drugs thanks to a victory won by pharmaceutical lobbyists around the same time. "They're always making up new ways to make money and avoid doing what's required," said Dede Feldman, a former New Mexico Democratic state senator who led the failed attempt to collect the rebates. Medicaid agencies require doctors to fill out extra paperwork — called "prior authorization" — for drugs not on state lists, expensive and not much better than other options. Warner Chilcott, the company that pleaded guilty to health care fraud in 2015, is not the only drugmaker that has sought to circumvent such approvals. Employees of opioid maker Insys Therapeutics Inc. called Medicaid agencies to get prior approvals, pretending to be from doctors' offices even for patients who did not need the company's potent painkiller, according to a scathing report released last year by Sen. Claire McCaskill, D-Mo. Insys spokesman Joe McGrath said the company has stopped the "misdeeds" chronicled in the Senate report but still contracts with an outside firm to help get prior approval for cancer patients who need the drug. "I personally feel like it's worth advocating for people who would suffer unnecessarily," he said. The business of circumventing prior authorization for drugs not on the preferred lists is booming. The companies doing this work on behalf of drugmakers have doubled their staffs and expanded their headquarters, trade publication Pharmaceutical Commerce reported last year. Whistleblowers filed lawsuits last year against five major drugmakers — Amgen, Bayer, Eli Lilly, Gilead and Onyx Pharmaceuticals — for using these types of companies to do doctors' prior authorization paperwork for them. That service amounts to a kickback for the doctors, the pending lawsuits allege, since it saves them time that they could then bill in other ways. The drugmakers did not answer questions about the cases on the record, but at least one has argued in court that a federal inspector general made clear these services were not kickbacks. And some companies really do offer help with prior authorization in a careful way that benefits patients, said Benjamin Banahan, a pharmacy professor at the University of Mississippi who assists his state's Medicaid agency with drug decisions. But experts say evading the preferred lists can mean patients get drugs that aren't right for them and it can cancel out the state's attempt to limit costs. "Any time you've got people playing the system, you'll end up spending more money than you want to or should," Banahan said. 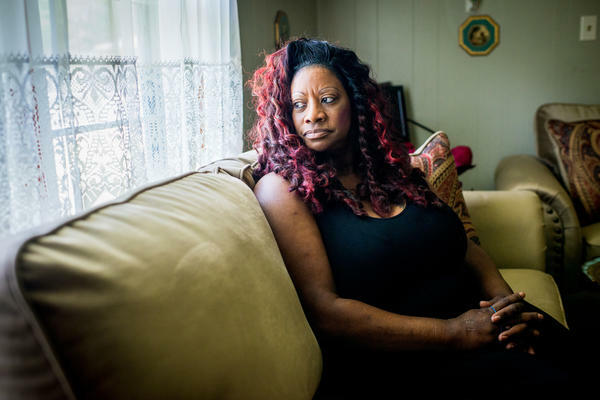 Sheryl Johnson has been through four treatments for her hepatitis C with side effects as bad as her symptoms: aching bones, diarrhea, headaches, plus hair and weight loss. "I knew that it at least buy me some more time with my liver," the 52-year-old native of Baton Rouge, La., said in her Southern lilt. "A little longer." New drugs that could cure Johnson's liver-scarring disease are now available. But they are too expensive for the part-time bus driver who makes gift baskets to earn extra money — and even too expensive for her insurer, Medicaid. The first one, called Sovaldi, debuted at $84,000 for a course of treatment. In Louisiana, about 20,000 Medicaid patients have hepatitis C. To treat them all would cost the state approximately $166 million — almost half what it spent on all drugs for its Medicaid patients in 2016. Instead, Louisiana's Medicaid program treated just 388 people last year. Johnson wasn't one of them. The state decided she's not sick enough. The bottom line in this dynamic between drugmakers and Medicaid officials is that some people are left behind, unable to get the medicine that they need as drug costs outstrip what taxpayers are willing to pay. "When those drug prices are high, it means either we have to cut things in our state budget or we can't afford the care," said Louisiana Health Secretary Dr. Rebekah Gee. "That's unacceptable." So Gee is attempting a new way to pay for drugs. Her proposal? The state would pay a subscription fee in exchange for an unlimited amount of a company's drugs, allowing it to run a campaign to treat everyone for a fraction of the cost. Gilead, the maker of several hepatitis C treatments, is eager to make the deal happen and is in talks with the state. Whether states like Louisiana will have more wiggle room to try new strategies is up to the federal government. Massachusetts, for example, asked for permission to not pay for certain expensive and unnecessary drugs. But pharmaceutical companies fought back, writing more than a dozen letters of opposition. The Trump administration shot down Massachusetts' proposal last month, saying the state could only proceed if it gave up federal government rebates and negotiated its own deals with drugmakers. Meanwhile in New York, where the Medicaid pharmacy supervisor owned stock in pharmaceutical companies and all four remaining doctors on the Drug Utilization Review Board have had financial ties to drugmakers, officials have come up with a solution no one else has yet tried. A new rule says that if the state's Medicaid drug spending exceeds a certain amount, the state will ask for more rebates for the drugs driving the increase, a step that in one year already saved New York $60 million. If that fails, a special committee must review the drugs. The group chosen to vet pricey drugs? The Drug Utilization Review Board. Jim Small of the Arizona Center for Investigative Reporting contributed to this report. The Center for Public Integrity is a nonpartisan, nonprofit investigative news organization in Washington, D.C. You can follow Liz Essley Whyte on Twitter at @l_e_whyte and Joe Yerardi at @JoeYerardi. Copyright 2018 The Center for Public Integrity. To see more, visit The Center for Public Integrity. We have a story now about something called the preferred drug list. It's a powerful tool that states use to try to control spending on prescription drugs in their Medicaid programs. 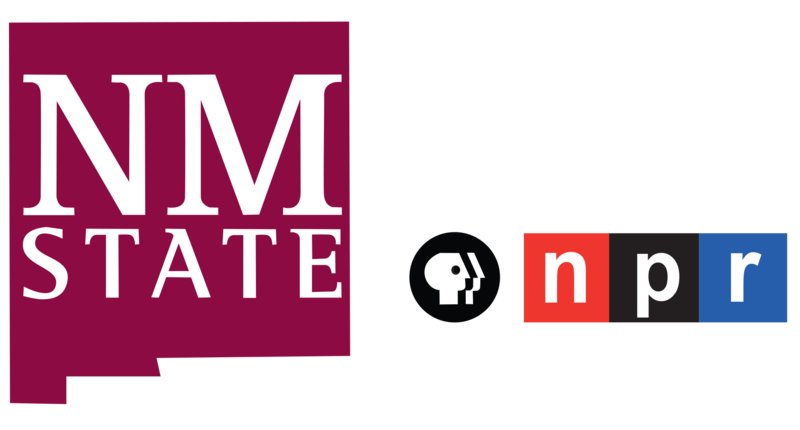 Now, the Center for Public Integrity and NPR conducted an investigation and found that these lists have become targets for intense lobbying and influence-peddling. We've found that across the country, 3 out of every 5 doctors who serve on the committees that decide which drugs make the preferred list get money or perks from drug makers. NPR's Alison Kodjak reports that sometimes those payments add up to hundreds of thousands of dollars. ALISON KODJAK, BYLINE: When Lisa, who is a drug company sales rep, went to work as an informant for the FBI, they gave her the code name Pampers. LISA: I was actually about eight months pregnant at the time, so it was quite the experience. KODJAK: She was working for a drug company that, like many others, uses money, meals and travel to convince doctors to prescribe their medications. LISA: You just go in there, and you buy the doctor a lobster dinner. And you fly him out to Tokyo for a conference for a week, and he takes his family. KODJAK: She says getting doctors to prescribe the drug she was selling was only the first step. The second step was to make sure that insurance companies and the government programs Medicare and Medicaid would pay. And that's where her company got into trouble. LISA: We were very brazen. And the company took it to the extreme. KODJAK: Extreme to the point where a sales rep went into patient files and filled out the forms to make sure the company's expensive drugs got paid for. LISA: They were taking the burden off the physician and taking the burden off the office staff. KODJAK: Lisa asked that we not use her full name because she worries that news she earned a large legal settlement would create problems for her family. She wore a wire for the FBI and became a whistleblower against her former employer, Warner Chilcott. And she recorded company executives instructing their sales reps how to unlawfully complete those forms. Drug companies filling out those forms is particularly troubling to Medicaid, the health care program for the poor and disabled, because those forms are one of the only tool the program has to control drug costs. CATHY TRAUGOTT: The amount of money spent on drugs is going up significantly year to year. KODJAK: That's Cathy Traugott, who runs Colorado's Medicaid pharmacy program. Medicaid's run by the states, and by law it has to cover every drug that's approved by the FDA. TRAUGOTT: We can't say no. We have to cover them. So we have to figure out a way to still balance our budget year to year knowing that these costs are consistently going up. KODJAK: The only tool states have to control those costs is the preferred drug list. Companies will offer states big discounts to get on the list. And if doctors want to prescribe something that's not on the list, they have to fill out time-consuming paperwork to get Medicaid to pay. The investigation by the Center for Public Integrity and NPR shows that around the country, these preferred drug lists are the targets of high-pressure lobbying, and the whole system is mired in financial conflicts of interest. Companies, through sales reps like Lisa, woo doctors with money and perks to get them not only to prescribe the drugs but also to help them get their drugs on the list. And if they don't make the list, many companies move to the next step - filling out patient forms to convince Medicaid to pay for the drugs anyway. ROBERT HOGUE: We're going to begin. I'm going to call the meeting to order. KODJAK: Take this meeting of Texas's Drug Utilization Review Board. HOGUE: The next topic is the antipsychotics. KODJAK: The committee's chairman, Dr. Robert Hogue, starts things off with drugs that treat schizophrenia and severe depression. Millions of dollars are in play. HOGUE: OK. And we have a hundred speakers. HOGUE: Don't be shy. Ladies first. Somebody on the front row, come on. KODJAK: Twelve people line up to speak. Five worked for drug companies, but many of the others have more subtle financial ties to the pharmaceutical industry. Like Matthew Brams, he's a private practice psychiatrist who tells the committee he's done research on antipsychotic drugs. MATTHEW BRAMS: Long-acting injectables, I believe, are superior to orals in many ways. KODJAK: Brams praises two medications by name, but he doesn't mention that the companies that make them paid him more than $180,000 in speaking fees over the previous two years, according to the government's Open Payments database. Taking such payments is not illegal, but it can have a big impact on doctors' behavior, says Ameet Sarpatwari, a professor at Harvard Medical School who studies the economics of pharmaceuticals. AMEET SARPATWARI: There's been a wealth of studies showing an association between financial conflicts of interest and preferential prescribing practices. And that can be for as little as a $5 lunch. KODJAK: And it's not just the people testifying who have financial relationships with drug companies. Eight of the doctors on Texas's drug list committee have gotten compensation according to our investigation. And across the country, 3 of every 5 doctors who vote on preferred drug lists get perks from drug companies. Some benefits are small, a dinner or lunch, but sometimes they're consulting jobs worth hundreds of thousands of dollars. None of it is illegal. SARPATWARI: It is hard to conceive of any situation where, if a pharmaceutical company did not believe that these payments were somehow influencing prescribing, that they would not be making them. KODJAK: Our investigation shows that the person who gets the most money is Dr. Mohamed Ramadan, who sits on Arizona's committee. He received more than $700,000 in consulting fees, meals and tripped over four and a half years, mostly from two companies that make medications to treat schizophrenia. We spoke to him over the phone from his clinic that sits in the middle of the desert on the border of Arizona, Nevada and California. MOHAMED RAMADAN: I work with multiple companies, and I do research too. So I keep myself very objective. KODJAK: He says his work with the companies keeps him up to date on the latest developments in his field. And he says he doesn't see any conflict of interest. RAMADAN: My thought is that healthy interaction with pharmaceutical companies is important. KODJAK: But according to whistleblower Lisa, the money can be very effective. LISA: What the managers within the company would tell us is if they feel indebted to you, if they feel a relationship with you, they're more likely to write your product. KODJAK: In 2015, Lisa's company, Warner Chilcott, which by then had been purchased by a competitor, pleaded guilty to health care fraud. But our investigation finds several whistleblower lawsuits that allege that drug companies or their subcontractors still routinely help doctors fill out paperwork to get their medications covered. And in the end, all that effort can undermine one of the few tools states have to keep their drug costs down. Alison Kodjak, NPR News. Transcript provided by NPR, Copyright NPR.